We usually try to be somewhat buttoned up on these posts. Usually, there is an outline or rough draft that we reread and spell check. Since it is 12:45 AM on Sunday morning, I'm just going to jot down a few quick thoughts that could be of importance to someone, somewhere. The Yankees need a 3rd baseman. Ransom stinks, and anyway, he's now hurt. Angel Berroa and Ramiro Pena are not good. If the AL East is going to be decided by as little as we expect, the difference between 1st and 3rd place, for the Yanks, could be the lack of production from 3rd base. Who's available? How about a trade for anyone better than Angel and Ramiro, which really challenges the question: What is the value of a replacement player at 3rd base this year? How about Mark Grudzielanek? How about sending the San Francisco Giants $100,000 for Dallas McPherson and some pain killers. Scott Rolen? Anyone? 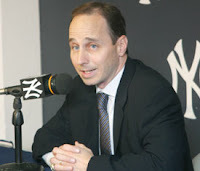 I seriously would like to know what Brian Cashman is thinking. Is he trying to get a 3rd baseman, or is he content with these guys? 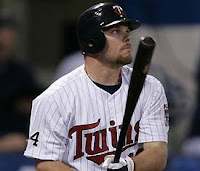 With Brian McCann on the DL, we expect David Ross to have a nice couple of weeks, until he remembers he's David Ross. The Cubs stink right now. Carlos Marmol is out for a few days, making Aaron Heilman the new "set up" man. What's he setting up? A Kevin Gregg appearance? That's not good for anyone. I'd much rather see Jeff Samardzija pitching high-leverage situations for the Cubbies, but when I looked at his 2009 Triple-A stats, they didn't look so good, considering he's already given up 3 HR's with Iowa. Jason Kubel hit another 2 HR's tonight. He has really been stepping up for the Twins. Speaking of the Twins, Joe Mauer may come back as early as Tuesday. His upcoming performance is huge for the AL Central race. Kyle Davies got knocked around pretty good... maybe we should be glad we never got on that bandwagon.